The seven stones of the chakras form a ray of color. 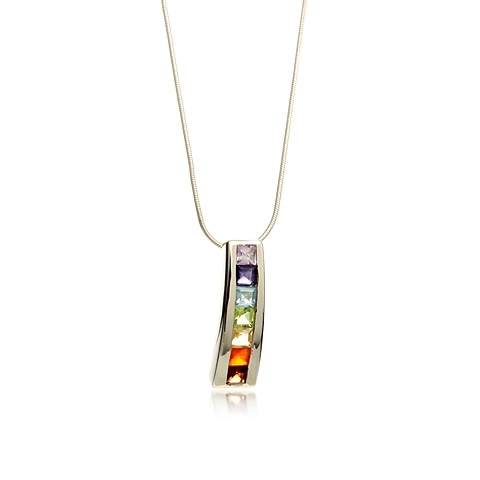 Semi-precious gemstones are: garnet, carnelian, citrine, peridot, apatite, iolite and amethyst. Chakras are energy crossroads, linking the physical body with the spiritual through an energy canal down the body. Each of the seven chakras has different properties and corresponds to a different mantra, color, stone and shape.